[LOS ANGELES] July 11, 2016. 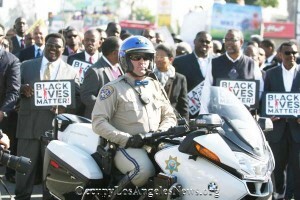 Los Angeles California’s political leaders have embraced #BlackLivesMatter publicly at least since 2015. 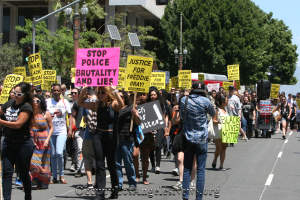 The #BLM movement has changed national discussions pertaining to police brutality and killings of #AfricanAmerican and #Latino men and women across this nation. 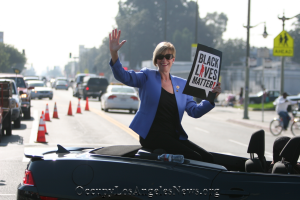 Shown in this article are #BlackLivesMatter supporters including #Congresswoman #JaniceHahn who represents portions of Los Angeles County in the United States House of Representatives, Los Angeles County Supervisor #MarkRidleyThomas, Los Angeles City Councilmember Curren Price along with many others Los Angeles County businessmen women and activists. 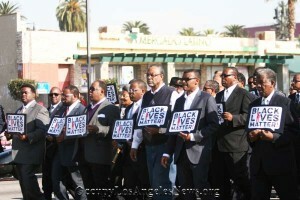 #BlackLivesMatter supporters including Los Angeles County Supervisor #MarkRidleyThomas, Los Angeles City Councilmember Curren Price along with many others Los Angeles County businessmen women and activists. Nationwide #BlackLivesMatter has provoked some people to politically attack the movement. Former New York Mayor and failed presidential candidate #RudolphGiuliani said on July 10, 2016 on national television that black children have a “99% chance of killing each other”. The Daily News detailed in its report on Mr. Giuliani’s statements the actual United States’ crime facts. And they showed that there is a 90% chance that a black will commit a crime against another black. But this is nearly equal to the 82% chance that a white person will commit a crime against another white person. Mr. Guiliani went on to claim he had “saved more black lives than Black Lives Matter” and called #BLM a hate group. Many have condemned and labeled Giuliani’s remarks as disingenuous. And they say #RudolphGiulian is “blaming victims” for crimes committed against them by police.